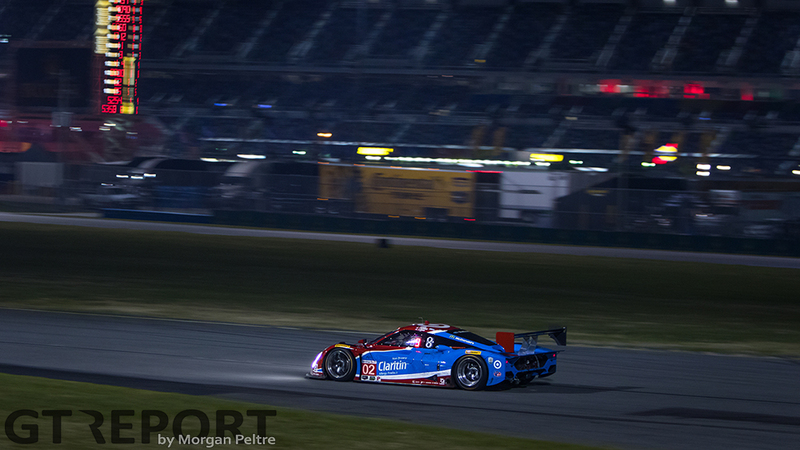 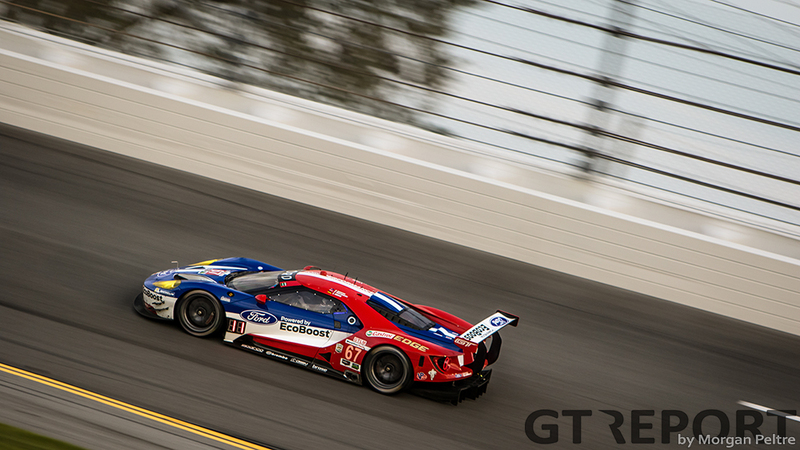 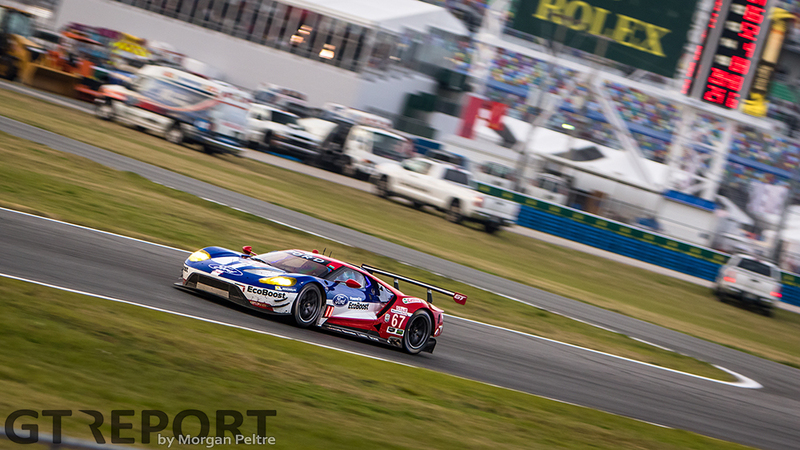 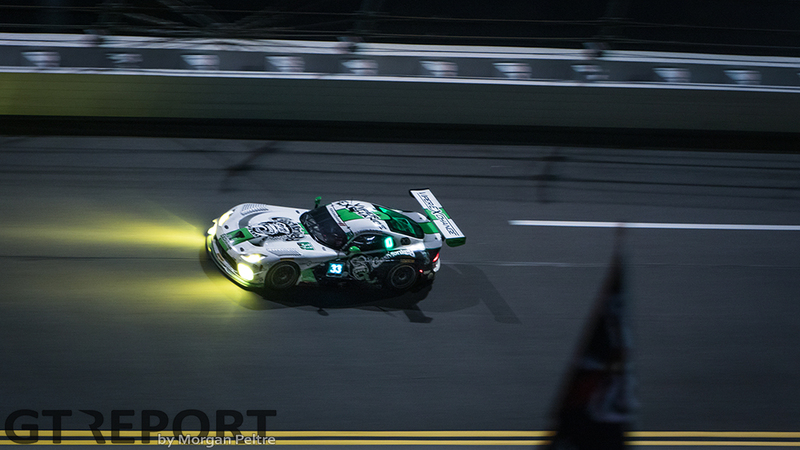 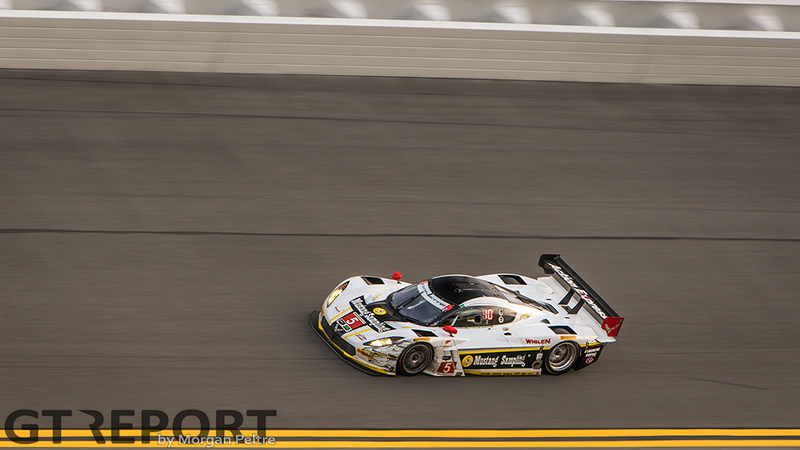 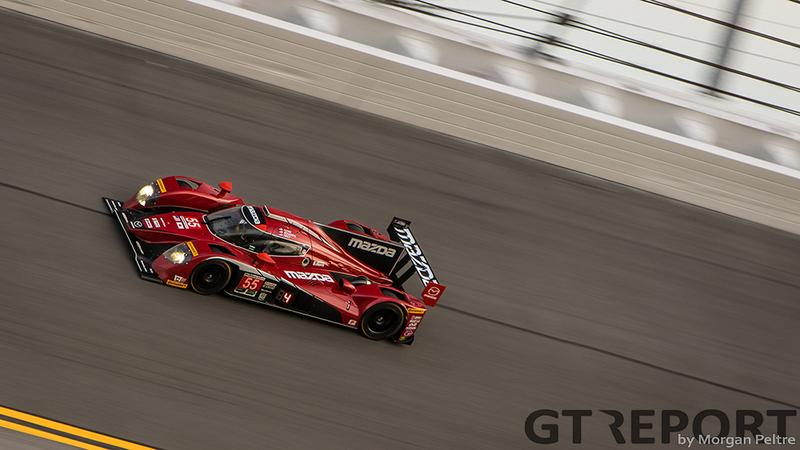 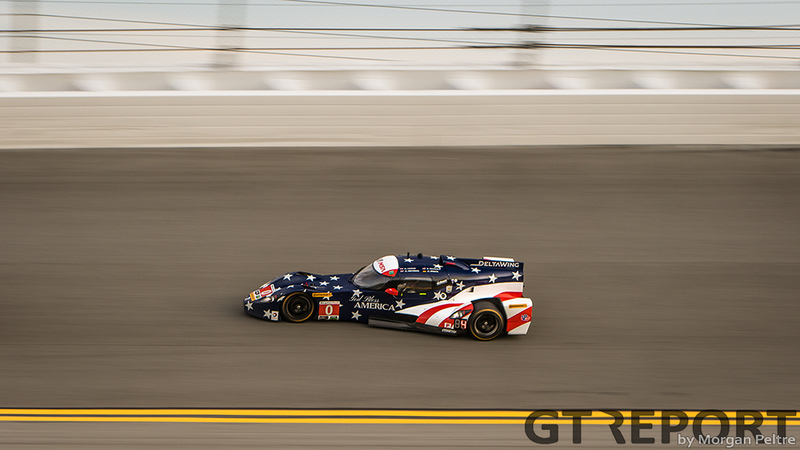 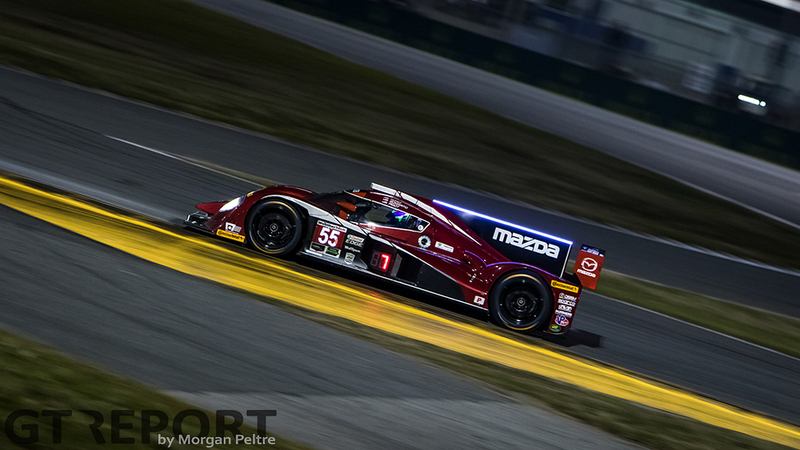 A counterpart to the 24 hours of Le Mans, the Daytona 24 hours is a destination race for many manufacturers. 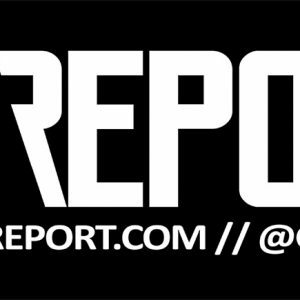 While for many years this wasn’t true, it is again now. 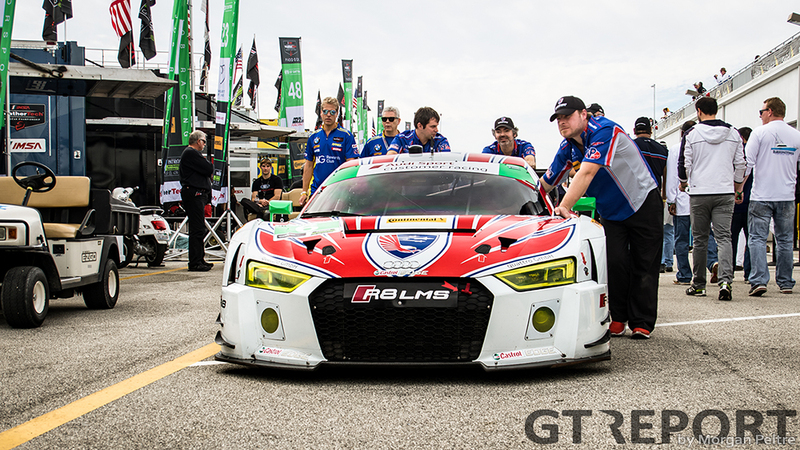 This year’s race not only saw new manufacturers enter the fray, full GT3 spec machinery was also introduced in the endurance classic. 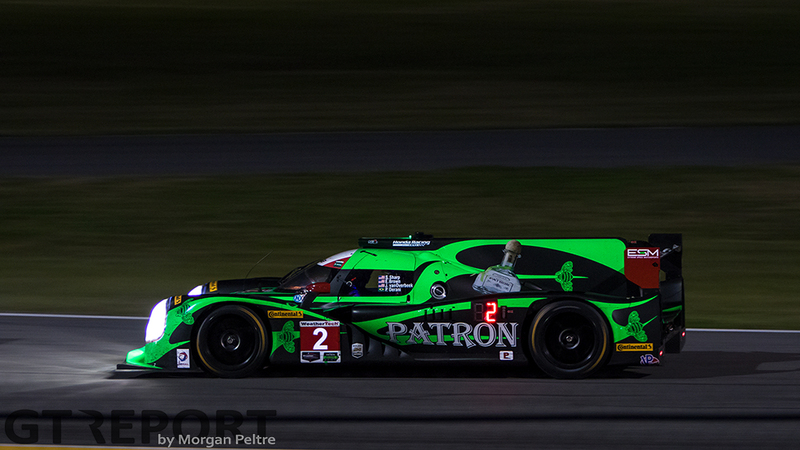 Over 24 hours Tequila Patrón ESM fights with Wayne Taylor Racing over the top spot, eventually going the way of the ESM Ligier JS P2-Honda. 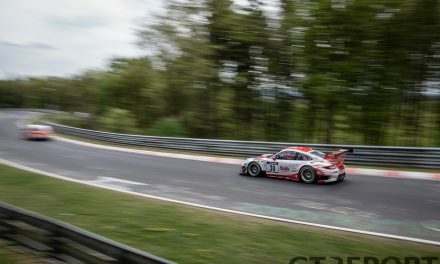 Switching positions all throughout the race, young gun Pipo Derani proves himself to be the match-winner with fast lap times and decisive yet calculated passes of slower cars. 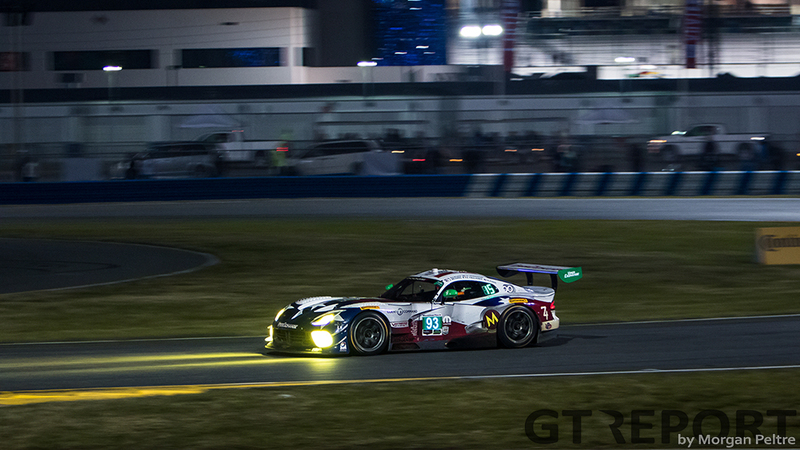 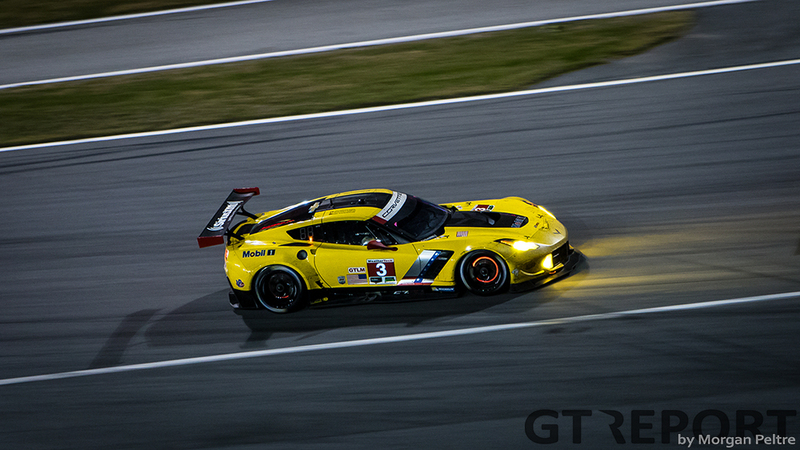 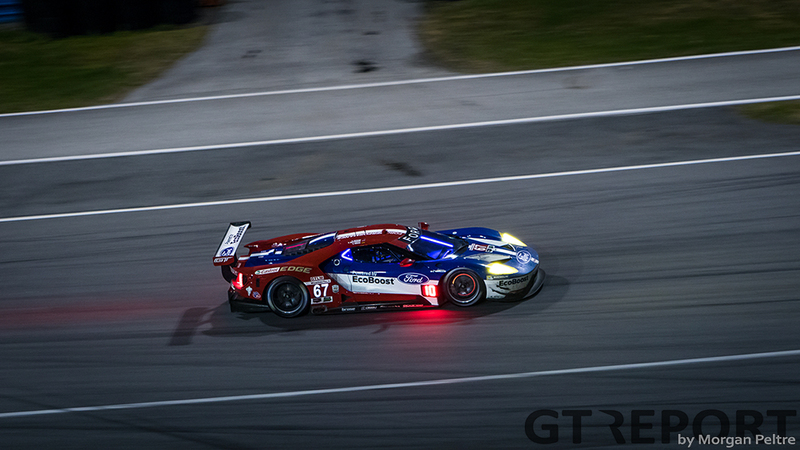 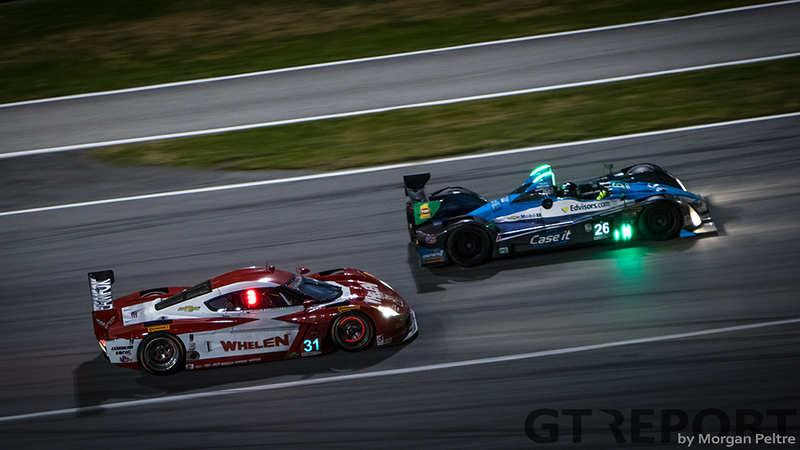 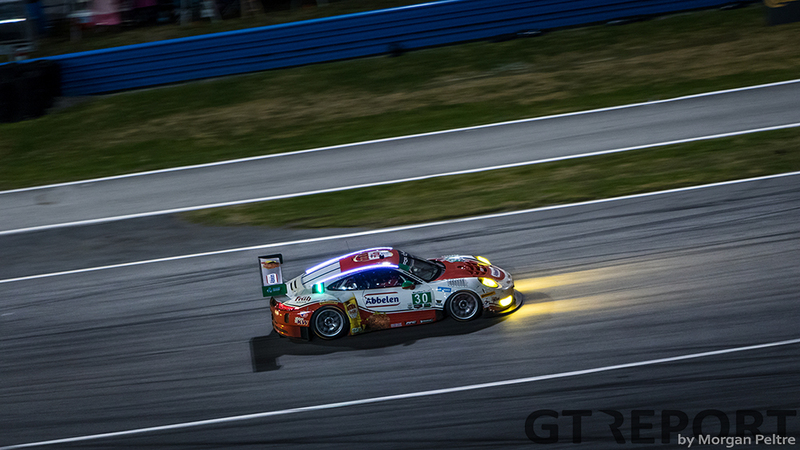 In the GT classes it all comes down to the final meters of the race. 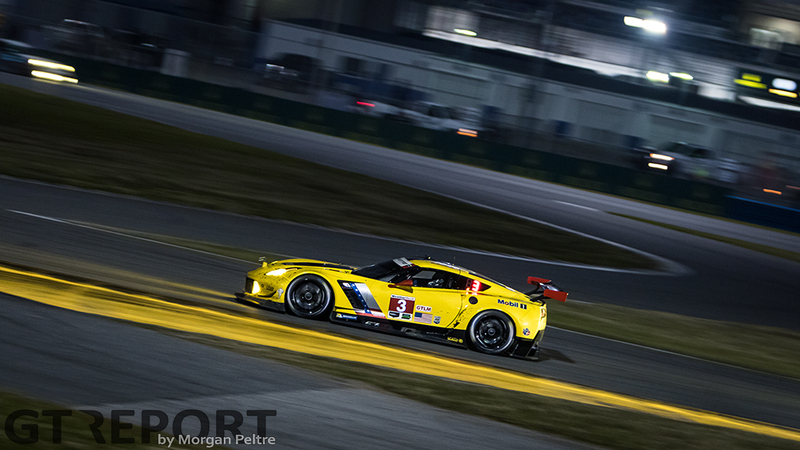 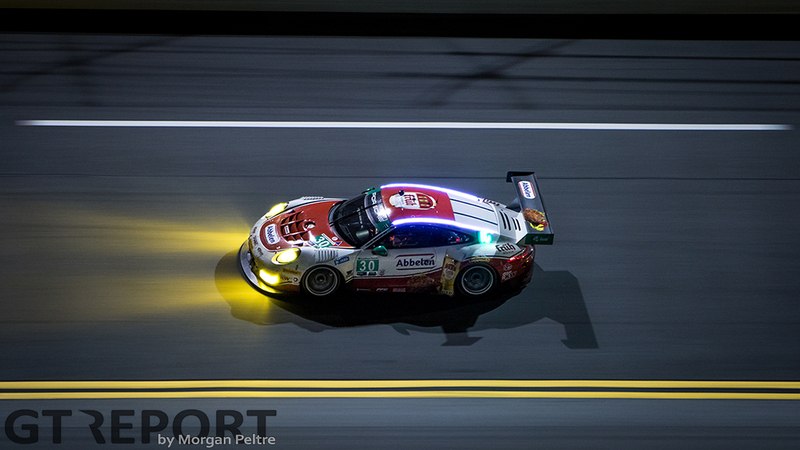 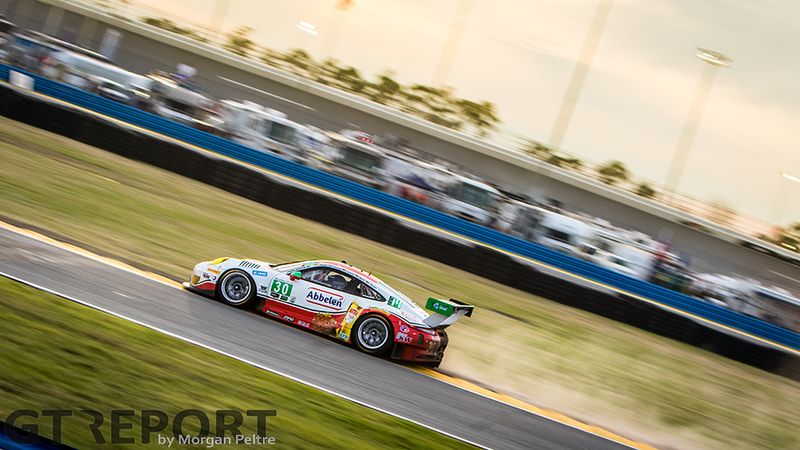 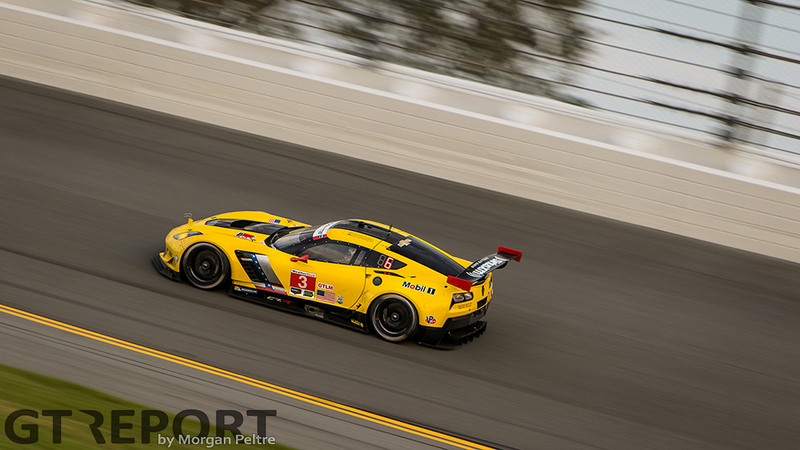 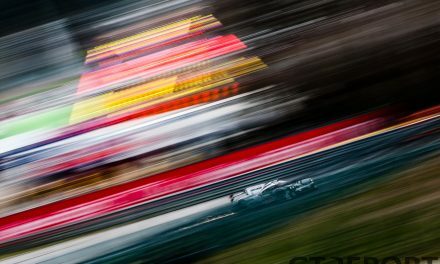 Porsche has been up front all day and night but eventually has to give in to Corvette Racing’s yellow beasts driven by Antonio García and Oliver Gavin. 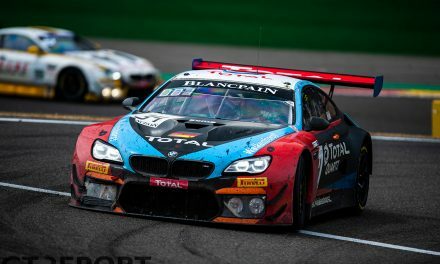 The Spaniard and Brit leave Earl Bamber behind in the last half hour of the race as the duo fight an intra-team battle for the win. 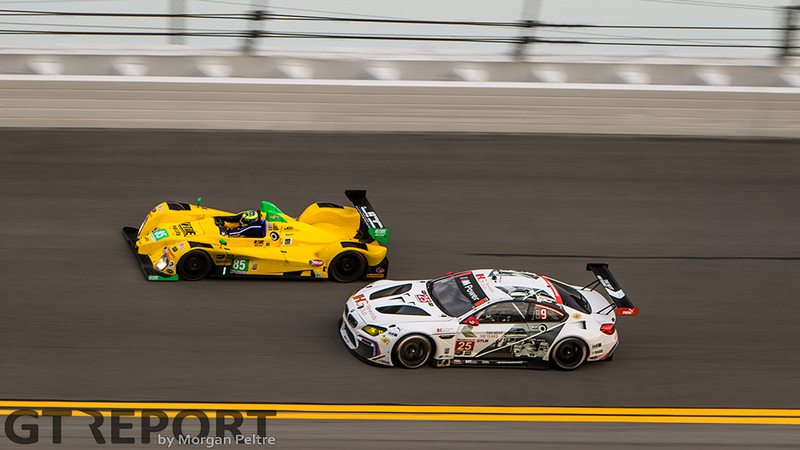 Four tenths is the difference between winner Gavin and runner-up García. 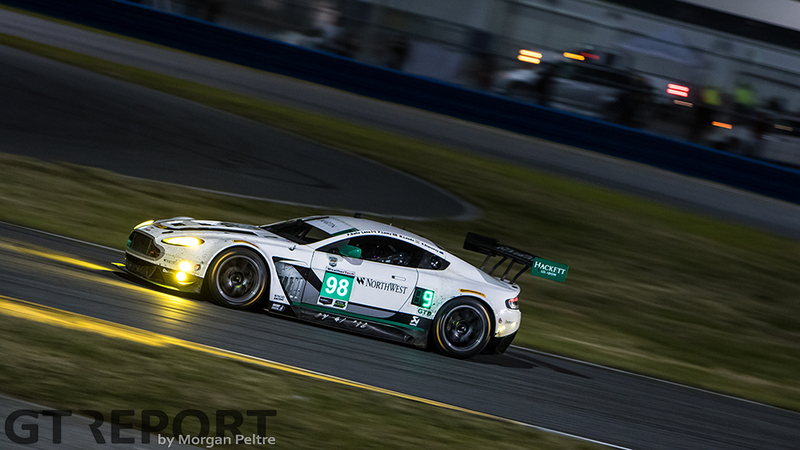 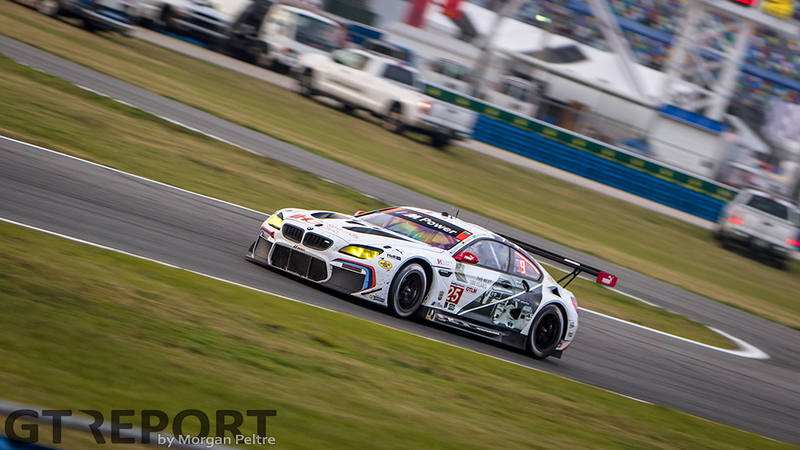 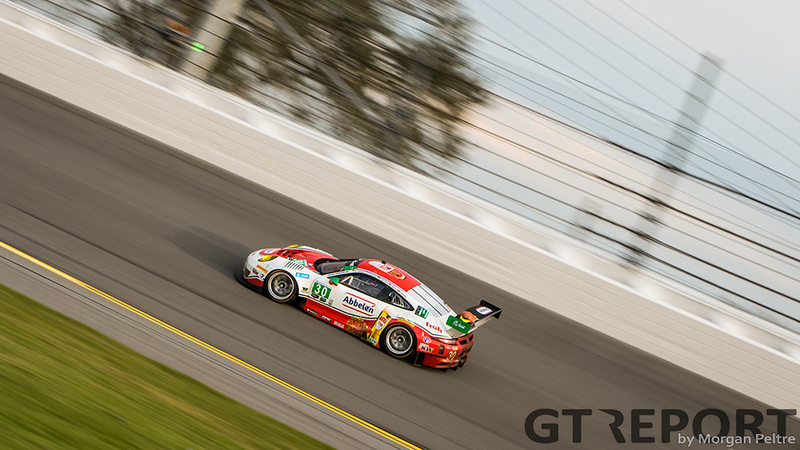 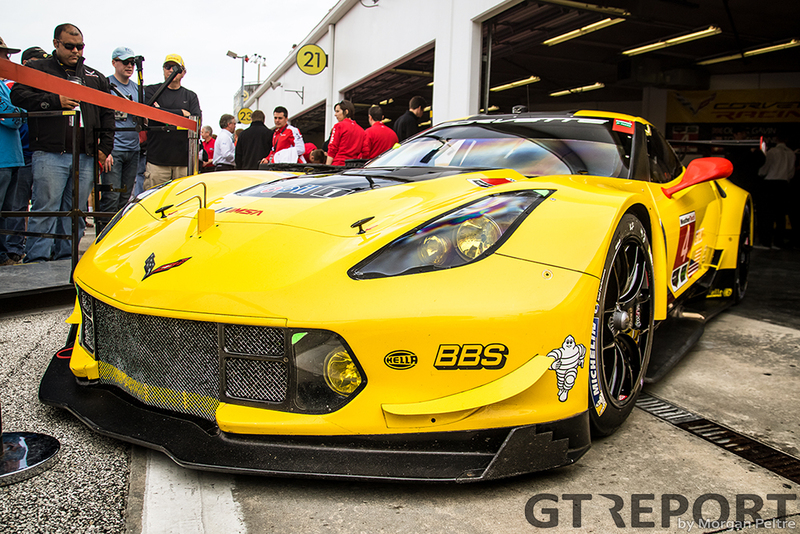 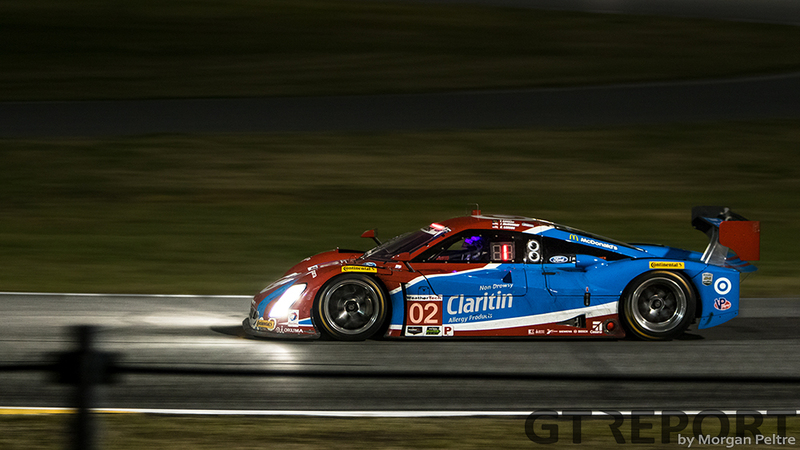 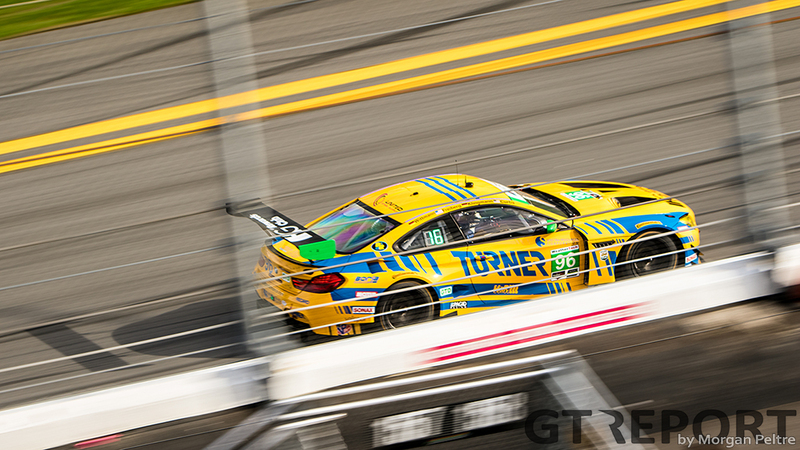 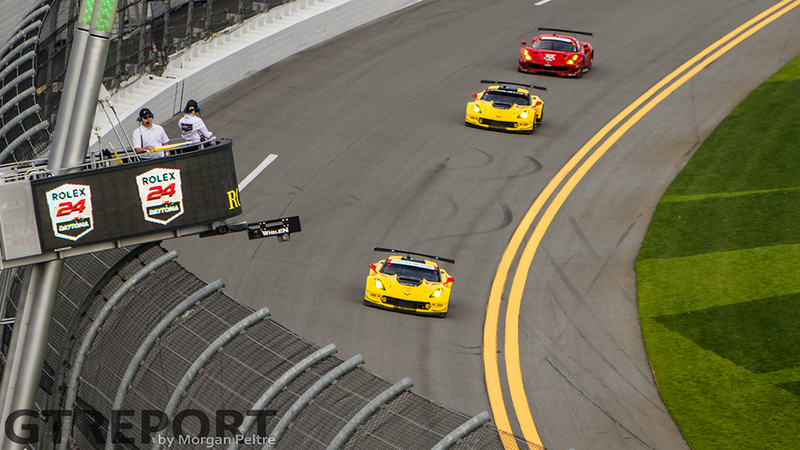 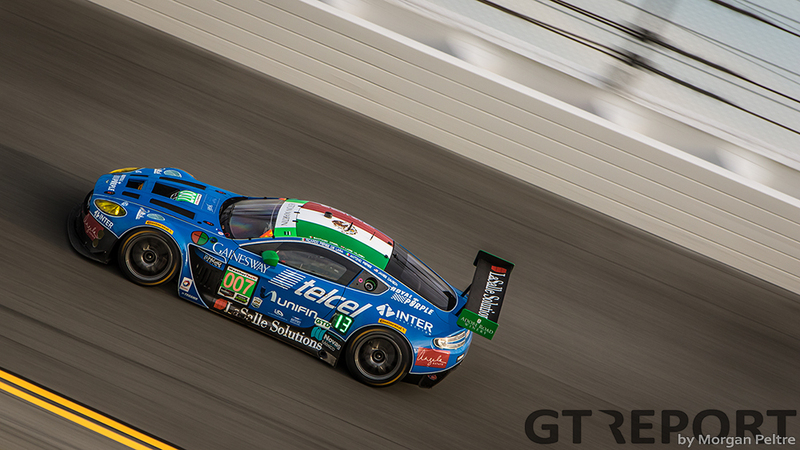 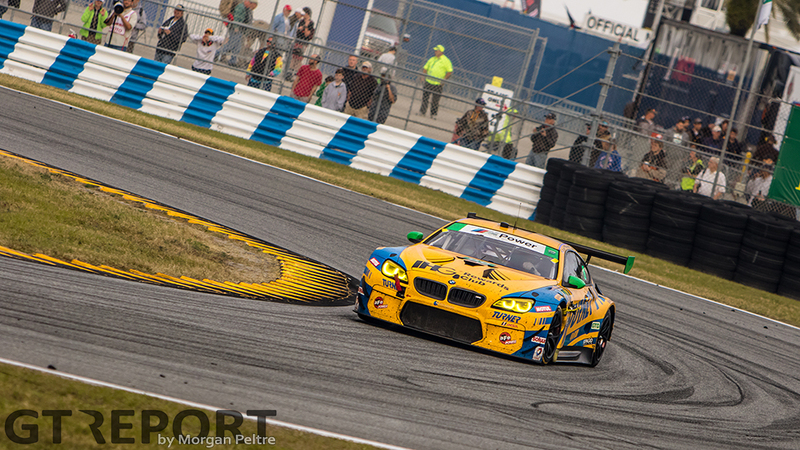 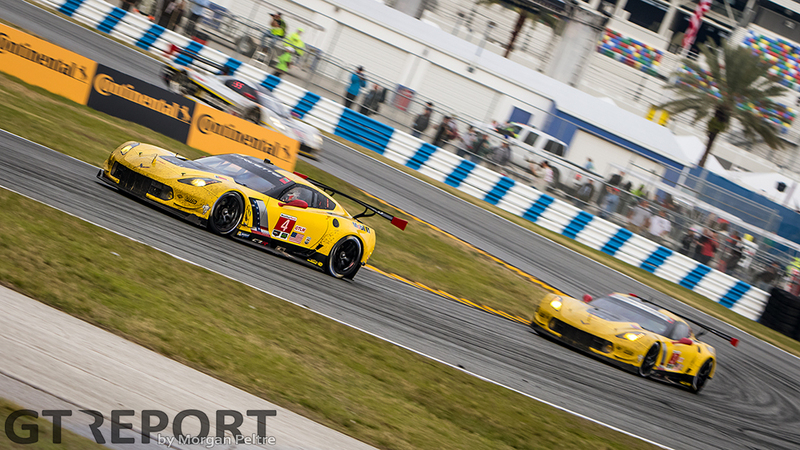 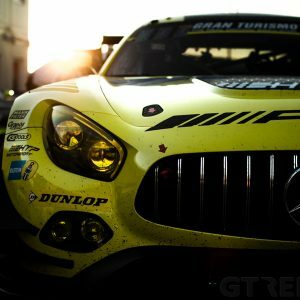 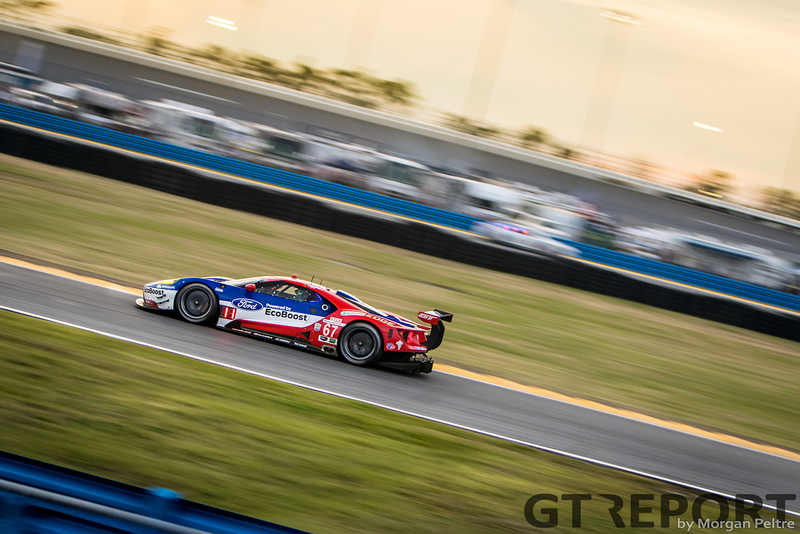 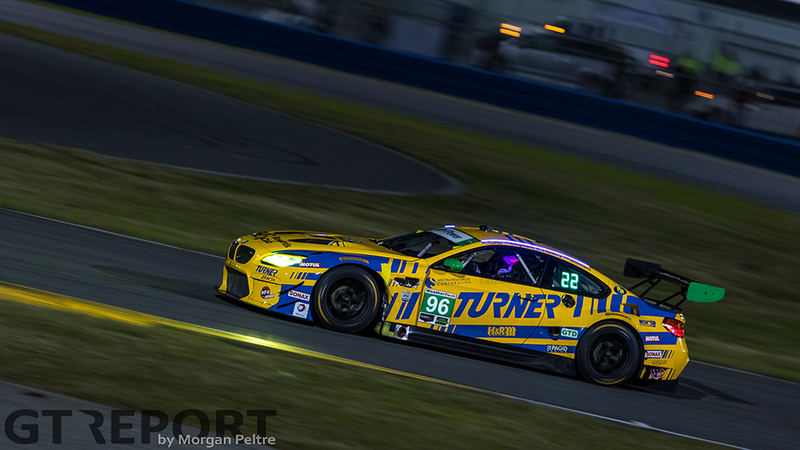 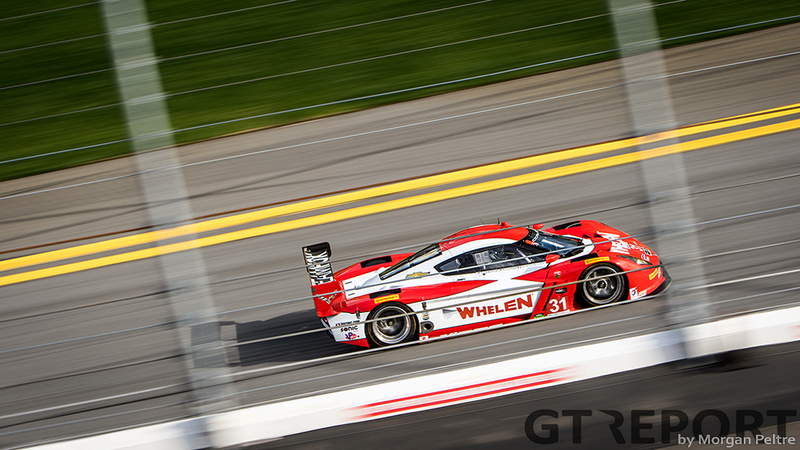 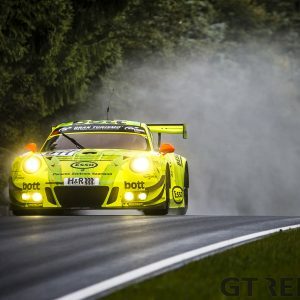 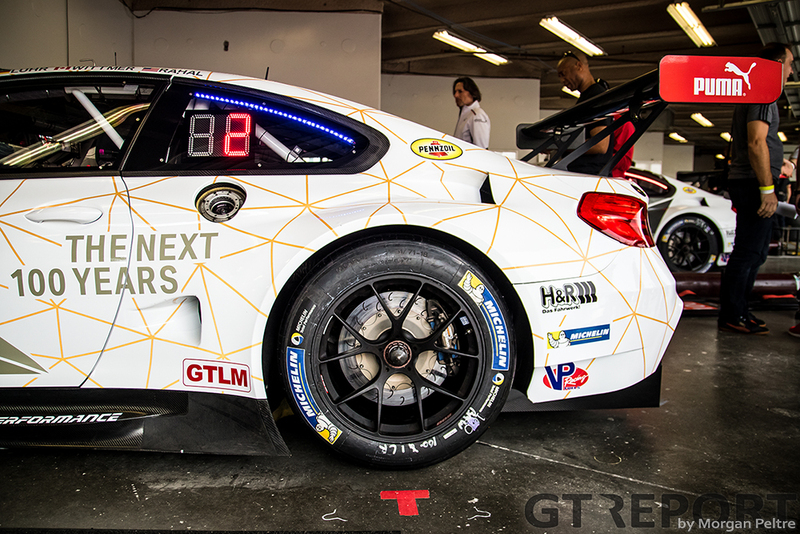 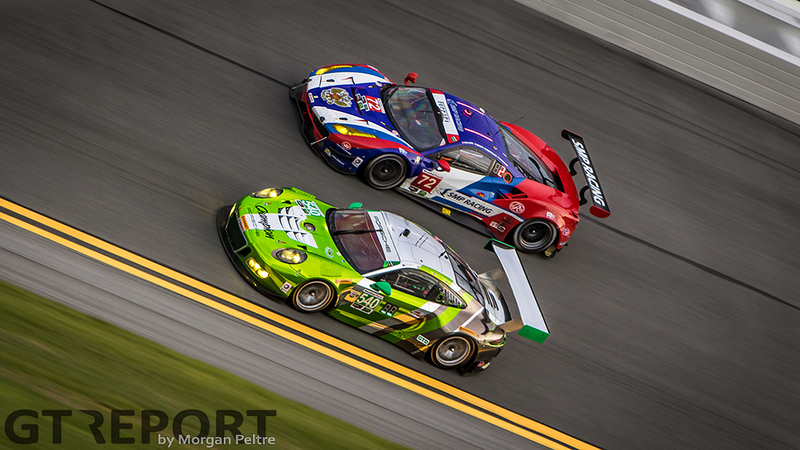 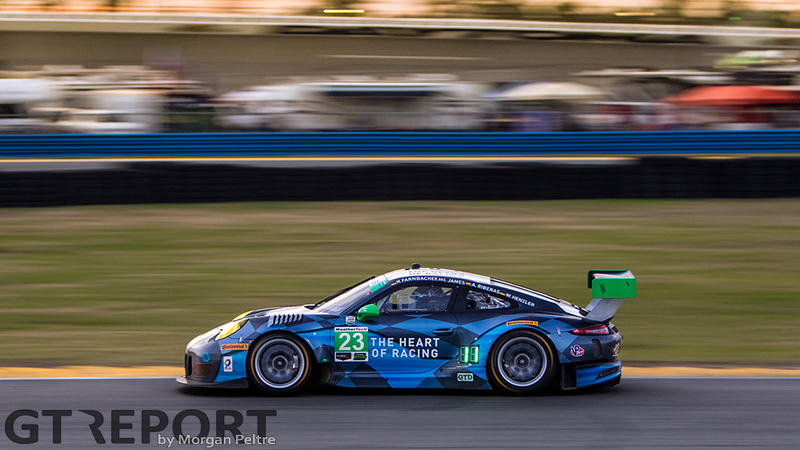 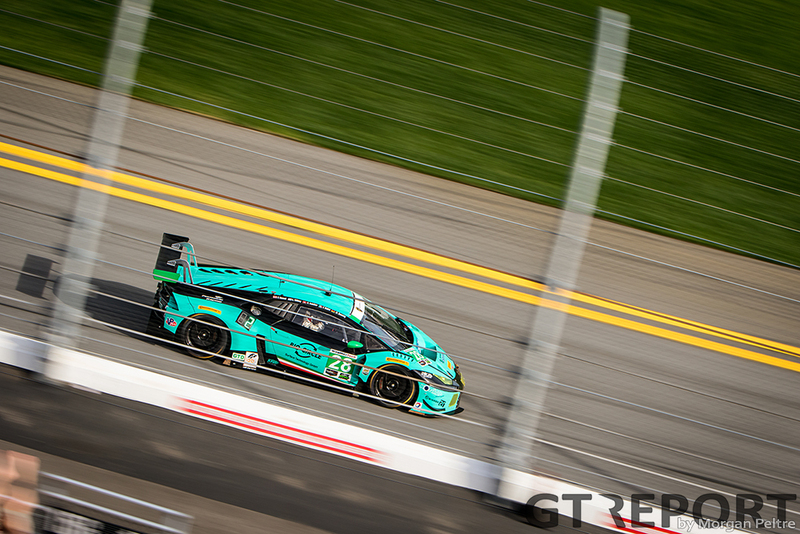 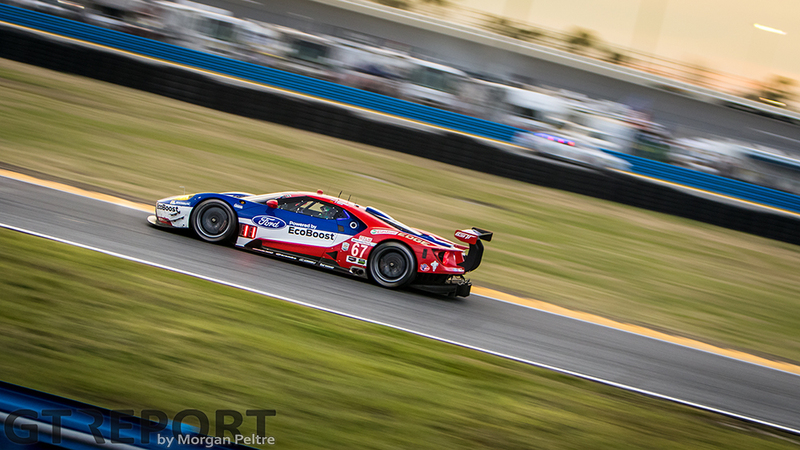 Magnus Racing wins in the GTD class. 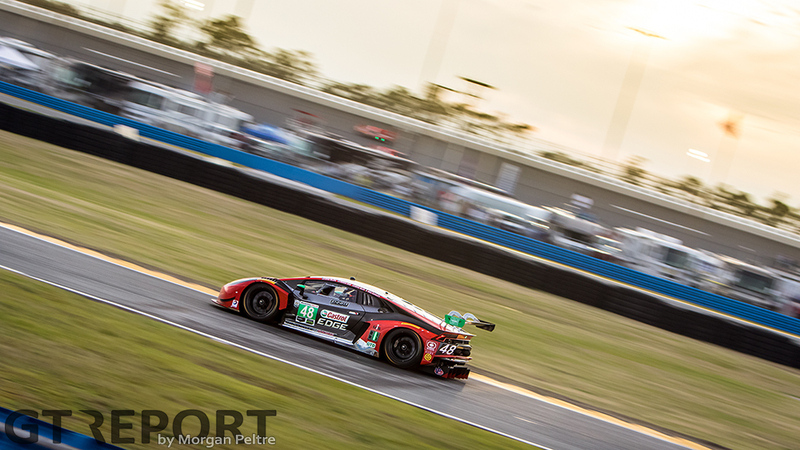 The team’s Audi R8 LMS GT3 is running out of fuel in the closing stages, giving Black Swan Racing’s Nick Catsburg the opportunity to rapidly close in on René Rast. 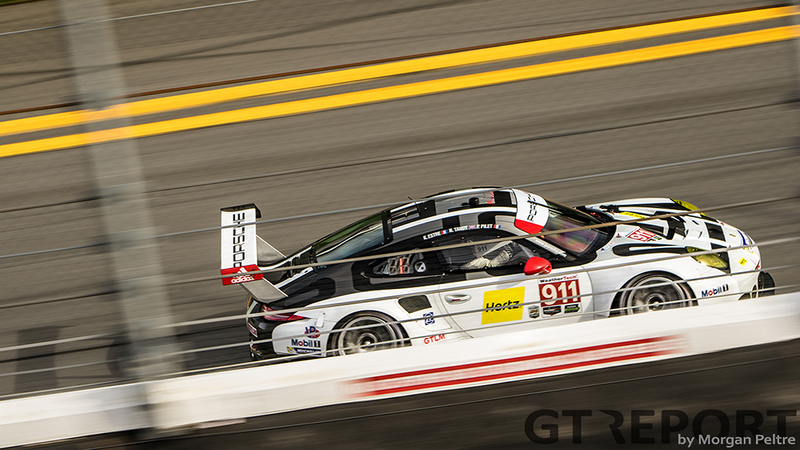 The Audi, however, lasts until the chequered flag, keeping the Porsche 991 GT3R in its mirrors.